According to local laws, you may not be in charge of any vehicle, or accompany a learner driver on a public road, when under the influence. The legal alcohol limit for non-professional drivers in Belgium is 0.22mg per litre of breath, or 0.5g per litre of blood, which is measured by a blood test in hospital. If you are required to do a breathalyser test, you can wait 15 minutes before blowing into the device. It will give one of three answers. In the event of an A or P result, the driver must take a further breath analysis test, which calculates the exact amount of alcohol in the breath. This is usually carried out in a police van. Police automatically test the breath of anyone involved in a traffic accident, whether victim or pedestrian. If police suspect drug use, they check certain signs and behaviour and can ask the driver to take a saliva test. Unlike the alcohol test, there is no legal limit; the presence of drugs in the system is sufficient for prosecution. If there is a positive result, the driver must have a blood test at hospital. If the driver refuses a saliva test, there is an automatic fine and 12-hour driving ban. If a driver is in an obvious state of inebriation, police are not obliged to carry out a test but can note the person’s condition, such as being unable to walk straight or speak logically. There are further exceptions. If someone has drunk, for example, one beer and tests safe (under 0.22mg) but appears drunk, police can still note the driver’s state and pursue a case. If a driver has clearly consumed a large quantity of alcohol but no breathalyser test is available, police can prosecute based on the person’s state. ‘State similar to inebriation’ is the term applied to drivers who mix alcohol with drugs. This includes prescription medication or the after-effects of a local anaesthetic after medical or dental treatment. Again, police officers will note the behaviour and can prosecute. If a motorist is found to be in one of the above states, they will face a short-term ban from driving. They must hand over their licence to the police for the duration of the ban; if they don’t have their licence, the car could be immobilised and the driver will have to hand over the keys. Following a ban of three, six or 12 hours, depending on the amount of alcohol in the system, a new test is carried out at the police station to ensure the person is safe to drive before they get their licence back. The prosecutor may ask for an immediate withdrawal of a licence in certain cases. Police officers can also withdraw a licence in the following cases: for 15 days when the breath test is over 0.65mg per litre; positive saliva in a drug test; refusal to do a saliva test; state of inebriation; state similar to inebriation. Charged drivers run the risk of appearing in court and facing longer-term bans. Police set up road blocks regularly on Saturday nights all year round as they need to meet a certain quota of tests. If they are stopping a large number of cars, they may use a breath sampler, which is quicker to use than a breathalyser. The device has a plastic mouth that you blow on to. If positive, the driver must take a breath test. 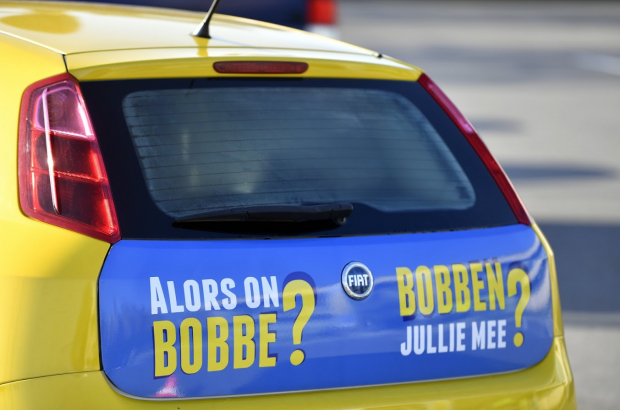 Twice a year, the Bob drink-driving campaign encourages motorists to nominate a teetotal driver (100% sober) for all their car journeys during festive periods. It was launched in 1995 by the Belgian institute of road safety and is supported by regional governments, insurance companies and the Belgian brewing association.